If you're wondering whether you see your family enough, a fresh smartwatch from Japan will soon be on hand to monitor your quality. 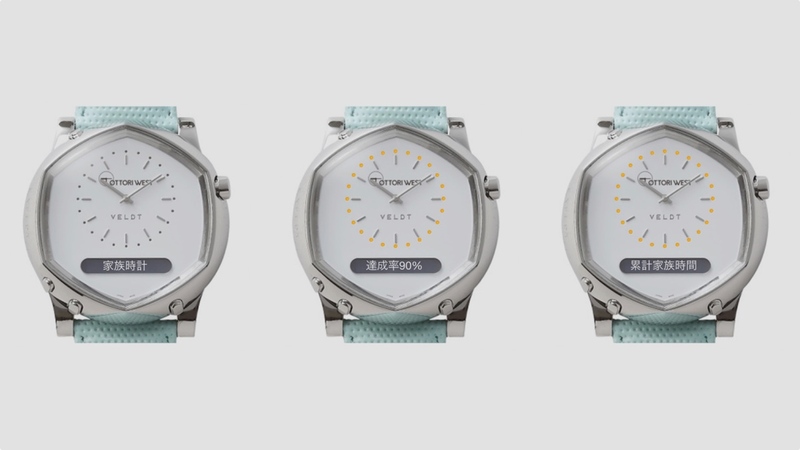 Tokyo-based Veldt has developed a wearable that can track how much time family members share with each other, with the parents' smartphones connecting with the Tottori West Family Time Watch worn by kids. This then automatically measures 'parent-child time' within a 30 metre range which is then displayed on the watch face. Alerts sent to make you feel guilty if targets aren't met and if the family hits the target, the watch lights up rainbow. Nice. The watch was created to assist an initiative led by the Tottori Prefecture in Japan. The government program is encouraging those in the region to move to the rural, western parts, with each family getting one of the smartwatches. The data is actually being used as a marketing ploy to show that families spend more time together there. It's not just useful for potentially avoiding family schisms, though, as plenty of regular smartwatch features, such as e-mail support, social media notifications and step and sleep tracking are also involved. Of course, this isn't the first watch to emphasise a connection between family. Plenty of wearables aim to help parents keep tabs on their kids through GPS, while some models offer geo-fencing, an electronic barrier drawn on a digital map which, when breached, immediately alerts the parent or guardian. Kids these days can also make an SOS call to their parents from their smartwatch. It's not yet clear if Veldt's smartwatch will became useful for encouraging more family time, though we can imagine the prompts may quickly become tiresome if you're consistently unable to reach targets. And while the devices will be given to families who take part in the Japanese initiative , it's not yet clear how much the watch will cost — if they are able to buy, at all — or what the detailed specs involve.